Home → Success Stories → Heather Makes Changes After Several Failed IUIs and Conceives! It never crossed my mind that it was going to be a struggle to have a baby when my husband and I decided that we were going to start to try. I thought maybe it would take a few months, maybe six months max. I was so wrong. Four years it took, with a lot of doctor visits, a lot of money, and a lot of heart break. After a year of no luck trying on our own, we started going to the doctor. Our primary care doctor couldn’t help us, which is understandable, they can only do so much. We had to step it up and go to a fertility doctor. We started with the basics, Clomid, blood tests, HSG test… all looked ok. Then started the IUIs. When those didn’t work, I had to have laparoscopic surgery to find any endometriosis. Which my doctor did find some. After that we tried more IUIs, one which was successful, but ended in a chemical pregnancy. After a while, it was time to take a break, and work on my husband’s problems. Low sperm count, sperm quality wasn’t great, etc. That finally started to look better with him taking Clomid for about 3 months. We were ready to start again with more fertility treatments. After two more failed IUIs, I had to step back and do some changes myself. Started eating a little better, eating more plant foods: veggies and fruits, and started eating organic meat. 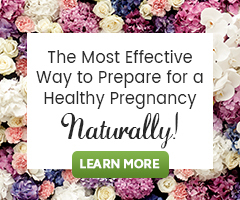 Then I found this little gem online, the Natural Fertility Shop. I watched the videos, read all of the articles online, and purchased the Egg Health Kit. I started the whole regimen on Sep. 1, 2017, and found out I was pregnant at the end of that month. My little boy was born on May 26, 2018! I found the Natural Fertility Shop’s videos on YouTube. One of my many days of watching other people’s fertility troubles and success stories online. I watched what Hethir Rodriguez had to say about egg health, diet, and other information regarding fertility. It was really good information, and easy to understand and follow. I went to the website after that and found the “How to increase your egg health in 90 days”, and “The Natural Fertility Diet” articles. From there I followed the advice and planned out a better diet, and purchased the Egg Health Kit. I couldn’t believe when I found out I was pregnant that the whole system worked. I wish I would have found all this information earlier. I didn’t feel any different really while taking the products. Which is what I really liked. Sometimes I don’t feel very well if I introduce a supplement into my regimen, this didn’t do that. I actually had a little more energy, and by that I mean I wasn’t falling asleep at my desk at work anymore! I also noticed my digestive system was working more regularly. I always had a problem with that, but it was much better when I started using the products (egg health kit). Some advice I would give others going through this journey is to put together a plan that you know you can stick to. You have to work at this too, and not rely solely on doctors to do all of the work. Definitely write out your diet, exercise, and supplement plan, but tailor it to something you can do. Don’t go off the deep end on something that is totally opposite from your lifestlye. That’s not going to help the situation either. After 1 month, my baby and I are doing fantastic! He’s perfect, and totally healthy. I still can’t believe it actually happened for us! Thank you so much to this website for your help!